This converted farmhouse allows a limited number of guests to be part of the Malandela’s experience. Offering eight en-suite uniquely decorated rooms situated in magnificent indigenous gardens that just a short walk from the heart of the centre, where you will find our Farmhouse Restaurant and Country Pub (open 7 days a week). From the restaurant you can enjoy views of the scenically beautifully Swazi mountains and ponder the sculptural towers rising from the lawn, a creative mingling from renowned performance venue and sculpture gallery House on Fire. You can stay connected with our centre-wide Wi-Fi service and browse the best in Swazi hand-craft and design in our retail stores. ‘A haven for kids’ the stone horse carousel and stretching games lawn is a favorite with the younger family members. 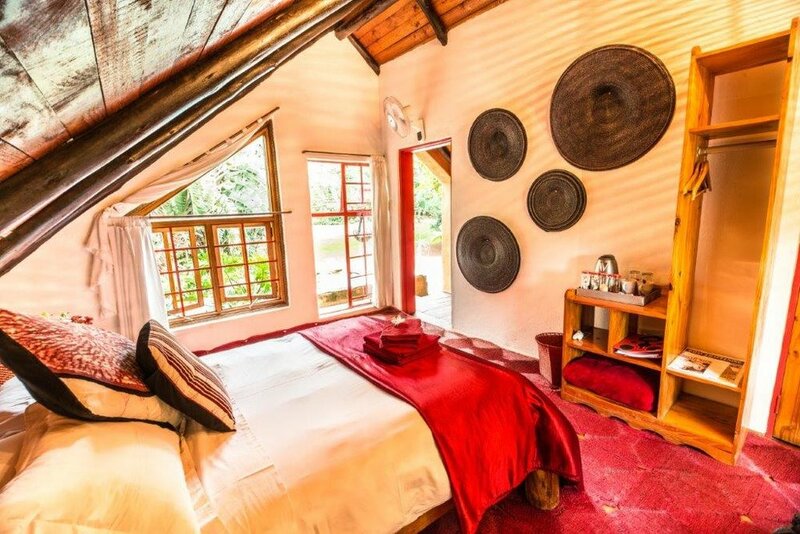 Best Guest House In Eswatini 2017! 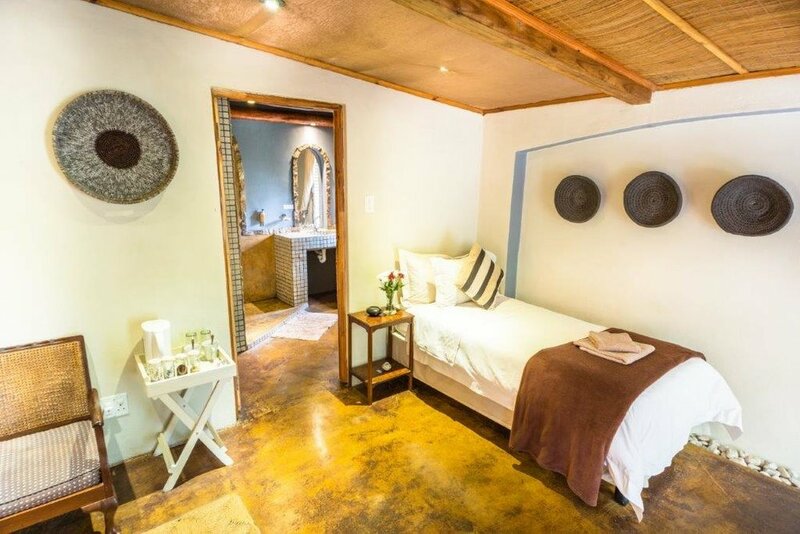 Malandela’s Guest House was named the “Best Guest House” in Eswatini by the Tourism Authority during the annual tourism awards. We are dedicated to continually improving our customer service, our environmental impact and developing our committed team. A wonderful stay as always - thank you! This time we were in the Teal room and particularly loved the corner window seat and bathroom. Malandela’s is always very welcoming, comfortable and a lovely place to relax, enjoy the beautiful gardens and a wander round the local craft shops. We’ll definitely be back! A beautiful place with lovely rooms, beautiful gardens and perfect view at the valley. We enjoyed it very much. The Swazi staff was very friendly. The breakfast delicious and the nearby restaurant has good food and a relaxed atmosphere. Nous avons passé une nuit au Malandela's, avant d'entrer au Swaziland. Le dîner et le petit déjeuner étaient de qualité, le personnel très sympathique, les chambres magnifiques et très propres, le coin piscine au calme et au milieu d'un joli jardin très bien entretenu. En bref: un plaisir!